Good Times are Brewing in Jax! If you like beer, you'll love Jacksonville! With new breweries emerging every year, each with their own unique local flavors, it's easy to see why Jax is hopping. Come taste for yourself. Take a look at our suggestions below, if you have questions along the way ask a local their advice! 600+ Taps, One Street. Welcome to King Street Food and Beer District located in the Riverside area. The options are endless on this Street that you could spend a few days here to indulge in all of them. From great lunch options to fun and unique dining destinations to extensive beer lists. King Street is where you will find two of Jacksonville’s craft breweries and several bars and clubs that sell local home brews. This beer District begins at 1522 King Street and ends on 720 King Street Jacksonville, FL 32204. River City Brewing Company, Seven Bridges, Ragtime Tavern Seafood and Grille and Bold City Grill are all brewing up a delicious pint for you to enjoy. Jax Fact: You can view the skyline and a sunset as you sip some suds at Rivercity Brewery Company or listen to the waves as the hit the beach at Ragtime in Atlantic Beach. The local craft beer scene has doubled in the past few years and it continues to expand, with two new micro-breweries coming to Jacksonville in 2014, with one owned and operated by local war veterans. Engine 15 Brewing Co., Intuition Ale Works, Aardwolf Brewing Co. and Pinglehead Brewing Co. all won medals at the Best Florida Beer Championship in 2014. 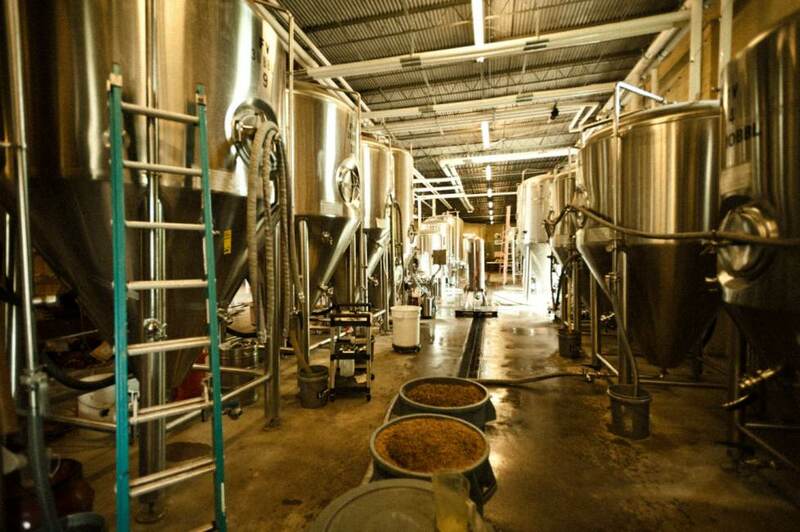 In Jacksonville, we are pioneer hipsters, check out our #OnlyInJax breweries below. Aardwolf Brewing Company offers a taproom and brewery just minutes from the heart of Downtown. Take a step back in time as you step into Aardwolf's Taproom, a renovated ice house from the early to mid 1930's located in the historic San Marco area. Every Wednesday the crew releases a new pilot batch beer, be the first to try it! Bold City Brewery is Jacksonville's own local brewery who encourages you to be BOLD! Stop by the taproom located off King Street in Riverside, where every "first-timer" receives a beer flight to sip and try all of their classic Bold City Brews! We know you'll find one you like, so take home a growler of your favorite ale! Jax Fact: Some of the names like 1901 Red Ale are inspired by historic events that occurred in the city. Intuition Ale Works specializes in small-batch handcrafted ales and aim to create quality, flavorful and creative beers in a wide range of styles. Intuition is proud to serve the burgeoning Florida marketplace and are currently distributed in Northeast and Central Florida. Bring home a six pack of your favorite brew or stop by the tap room off King Street in Riverside. Engine 15 Brewing Co. is where you will find a friendly atmosphere and can enjoy a dizzying array of beers, both brewed in house and imported from the far reaches of the globe, eat a tasty meal and even brew your own beer! Eat, Drink, Brew and it's near the beach what else could you ask for! Green Room Brewery gives you a reason to ditch the surfboard and pull up a stool at Jacksonville Beach's first microbrewery! They bring great, locally made beer to the Beaches area and beyond. Pinglehead Brewing Company has been serving the Jacksonville and Orange Park community since 2011. Their craftsmen make BIG BEER, full of flavor with the best ingredients money can buy. They call it “Beer with Attitude!” and are committed to creating beer that will always be made with quality ingredients and our strong commitment to the craft! It will never be rushed. Do you collect tap handles, purchase a Pinglehead handle before leaving the brewery! Veterans United Craft Brewery is owned by veterans sharing an enthusiastic desire for producing and enjoying quality craft beer. The brewery is set to open in Summer 2014 and is located on Baymeadows Road in the Southside area of town right off 1-95! Take a taste of Jacksonville home with you, every Brewery sells and fills growlers big and small! We invite you to join us and bring your fellow beer enthusiasts to sample different craft and import beers from breweries abroad at The Craft and Import Beer Festival each May. Pack your lederhosen and steins just in case you are in time for Jaxtoberfest in October in Downtown Jacksonville. This brew-centric fall celebration promises plenty of beer, hearty German cuisine, a variety of entertainment on multiple stages, and family-friendly fun for all ages. You don’t have to be of German heritage to enjoy! Jacksonville is an affordable family destination with so much to do and see, specially on the water!